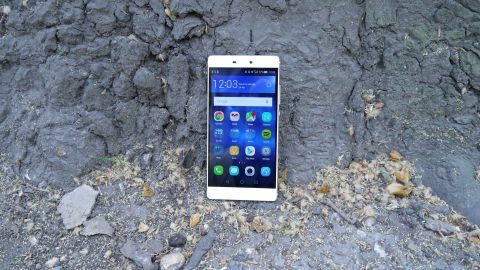 The Huawei P8 is the Chinese firm's latest foray into the flagship market, and it's arguably its best handset to date after the comparably sedate Ascend P6 and Ascend P7 of the past couple of years. The "Ascend" name has been dropped in favour of the cleaner Huawei P8 moniker, which tidies up its previously messy naming regime. [Update: the Huawei P8 has been around for a little while now, and sits firmly in the 'budget Android' category. It's not the strongest model around - and you may find the interface a bit tough to work out at the start - but if you see it for a decent price then it becomes a more attractive proposition]. The phone launched at €499 (around £395, $580, AU$760) for the 16GB model, or €599 (around £465, $680, AU$900) for 64GB of internal space, making the Huawei P8 comfortably cheaper than the current fleet of 2015 flagships. There's a 5.2-inch full HD display up front, while the metal unibody design comes in at just 6.4mm thick - making the Huawei P8 thinner than the iPhone 6 and Samsung Galaxy S6. Picking up the P8 I found it to be well weighted, manageable in one hand and indeed it does look and feel premium. The slightly curved, chamfered edges provide a little extra grip, although the completely flat rear and super slim 6.4mm profile means it's not the most comfortable to hold. It does however, slip effortlessly in a pocket. Huawei made a point of saying how solid the aluminium unibody is on the P8, and while there's no obvious cause for concern in terms of bend-ability I look forward to seeing others applying more pressure to see if it goes the same way as the iPhone 6 Plus. While the Huawei P8 does sport a premium metal body, it doesn't quite match the same style and grace of the iPhone 6 or HTC One M9. The all metal unibody just doesn't look or feel quite as premium as its rivals - whether it's the finish Huawei has chosen to apply or use of cheaper materials, it's not clear. It feels like there's something still missing to really push it into the design stratosphere, but it's another positive step forward and the Huawei P8 is still a premium device. The metal power lock key is situated about half way down the right of the P8, in a slightly recessed dip making it easier to find when you run a finger along the edge. The volume rocker sits above it, while below are two trays - one for your 4G nanoSIM and one for a microSD card (up to 128GB in size) which also doubles as a second nanoSIM port. There are both single and dual SIM variants of the Huawei P8, so the handset you get may not have the clever second SIM functionality in the microSD bay. You can pick the Huawei P8 up in four colours; mystic champagne, carbon black, titanium grey and prestige gold. The champagne and grey only feature on the 16GB model while black and gold are reserved for 64GB. The full HD display may not match the 2K Galaxy S6 and LG G3 in terms of resolution, but with the Sony Xperia Z3 and HTC One M9 both sporting full HD panels it's not really being left behind by the QHD crowd. That means it has a pixel density of 424ppi - matching the One M9, although the Xperia Z3 wins here thanks to its smaller 5-inch screen giving you 441ppi. It's bright, colourful and responsive making everything look clear and easy to read, and bezels have been kept to a relative minimum apart from the area of dead space below the screen. You'd expect to see a physical home key or some touch navigation keys here, but Huawei doesn't deal in home buttons and it's moved navigation on screen leaving a bar of blank space. This isn't unique to the P8 - plenty of handsets have additional space on the front - but it's surprising Huawei hasn't seen fit to even stick its logo here. At 5.2 inches it's on the cusp between manageable and slightly too big for one handed use, so if you have smaller palms it may be a little tricky to reach all areas of the screen. It doesn't break any ground, but it doesn't need to, and the display on the Huawei P8 provides a strong level of performance, allowing you to enjoy the on-screen experience.